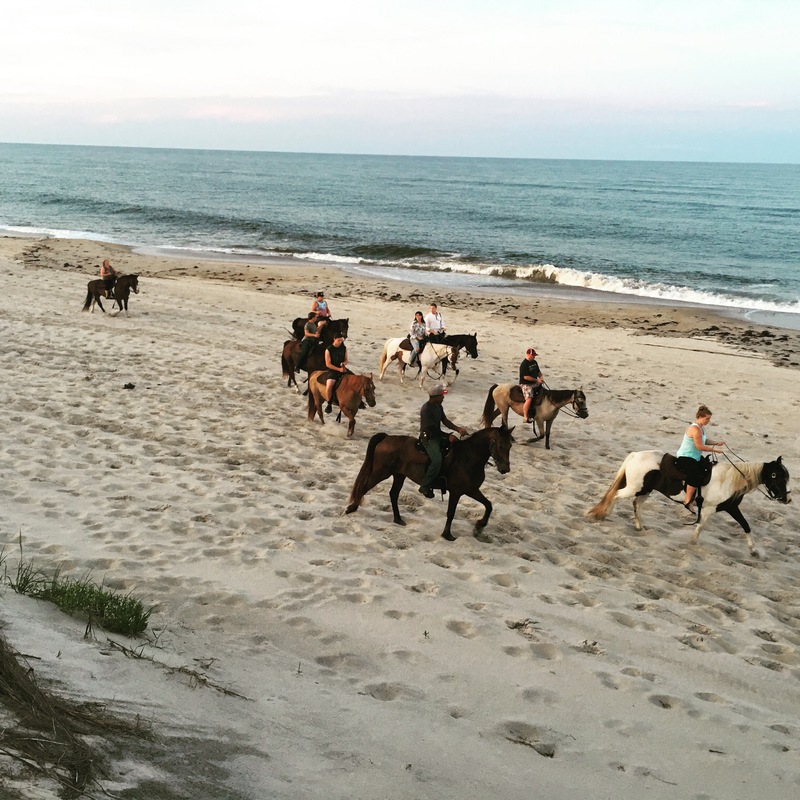 Outer Banks Horseback is a rental service specializing in guided beach horseback rides. We genuinely have a passion and love to horseback ride. Our ability to do it on the beach is something everyone in this world should experience. We strive to give our customers an adventure and memory that they will never forget. Be sure to look out for our services available Fall through Spring in Virginia Beach, Virginia. 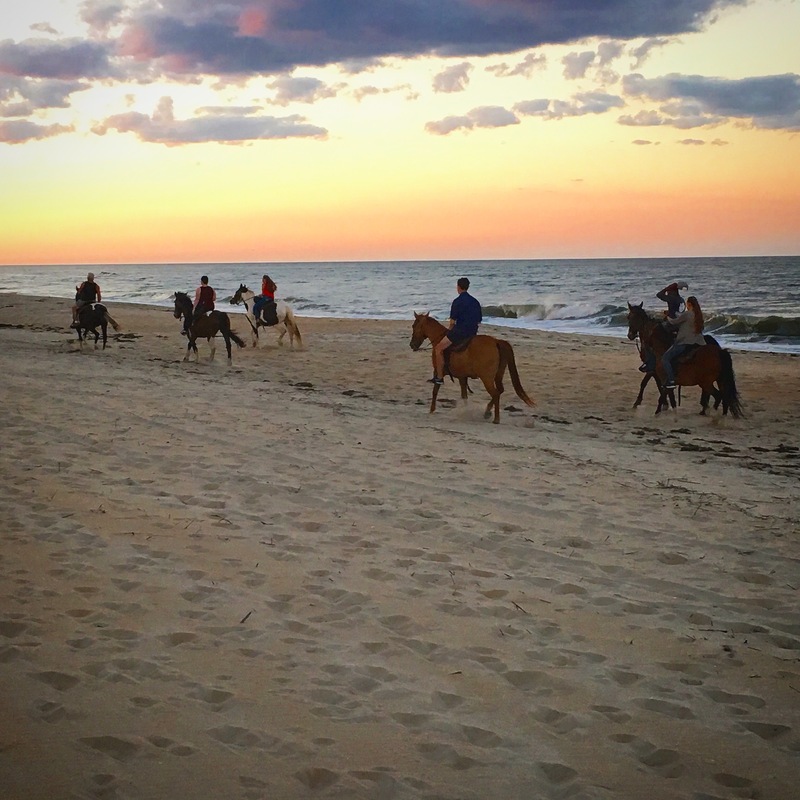 This summer, venture to the Outer Banks and ride on horseback. 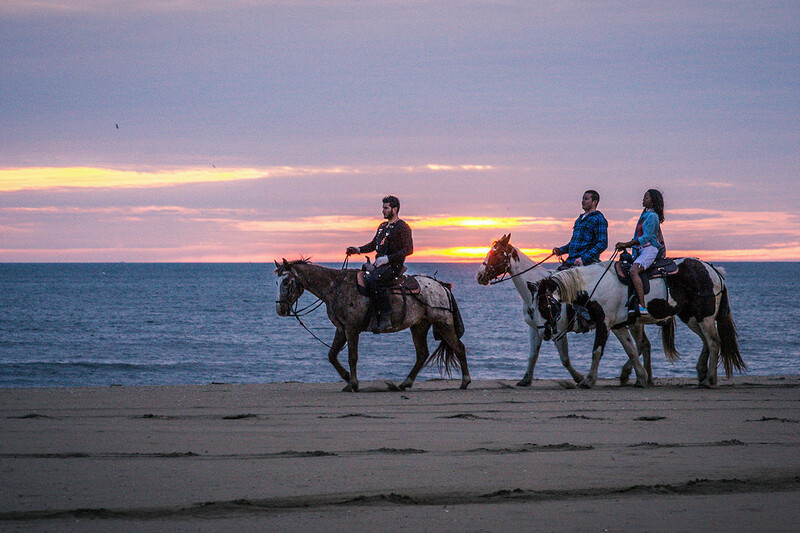 You can enjoy a beautiful casual ride on the beach with your friends and loved ones experiencing the beauty of nature at its finest, or thrill yourself with an unforgettable canter down the beach alongside your guides with breath taking views you can't even imagine. • Age requirements: At least 6 years old and older to ride a horse by themselves. Children under 6 years of age may double up with a parent however will require notifying the main office to add rider. This option is available for an additional $40. "Double Up Fee" for this ride. • Weight limit needs to not exceed no more than 250 pounds. • Prior to mounting, all customers will be matched based on their experience and comfortability levels with horseback riding. • We provide a 3-stair mounting block making it exceptionally easy for getting on and off the horse. • Everyone will be introduced to their horses and will receive a short lesson and then walked out to the grass field awaiting further direction from your guides. 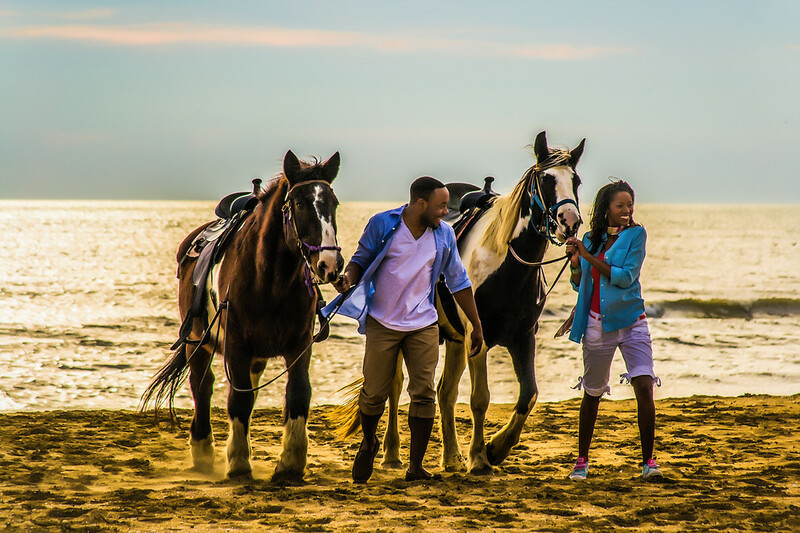 • After the introductory of your guide names, a short re-cap on how to safely handle your horses and things to watch out for while out on the beach, our professional photographer and guides will lead you to the surf to take any requested professional photography shots. Note; these are optional and are not required to pre-purchase. We can simply have your photo ready when your back from your adventure and you may look at your photos and decide at the end of your ride for purchase. 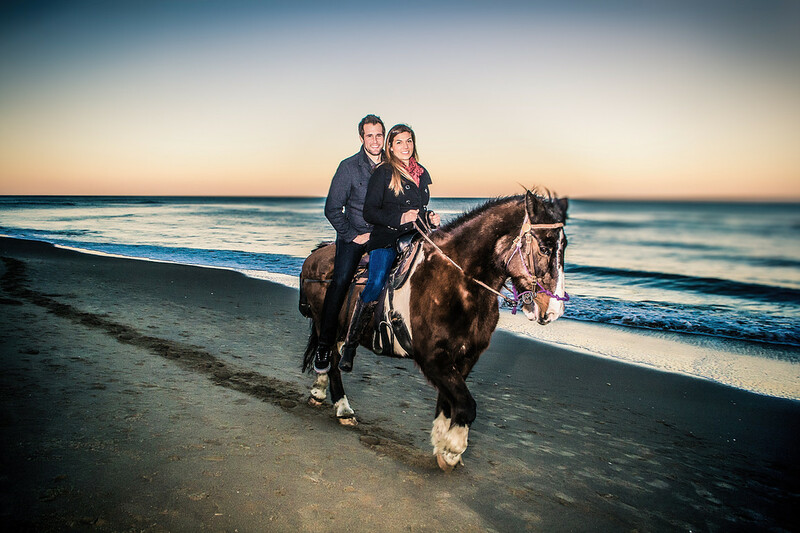 We love our job and we love our horses and our main priority is to ensure that we can save as many horses as we can and continue to grow the interest of horseback riding activities. 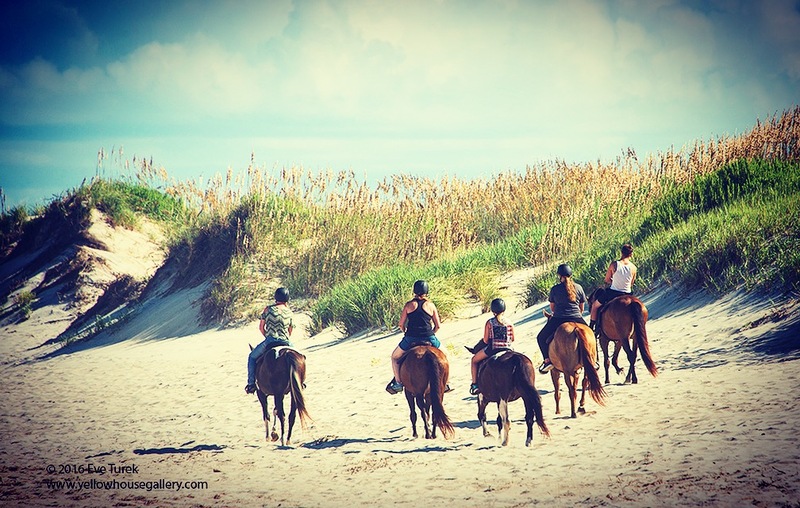 Outer Banks Horseback is one of the only services of its kind here in the United States. These special services are very difficult to locate here in the U.S. and especially at the convenience of being located on an actual resort. We have done business with The Travel Channel, National Geographic, and Virginia Tourism. 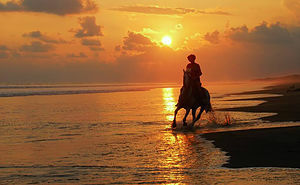 Our horse rides are guided by one of our charming beach cowboys or cowgirls. We currently can provide up to 11 horses for rent at a time. 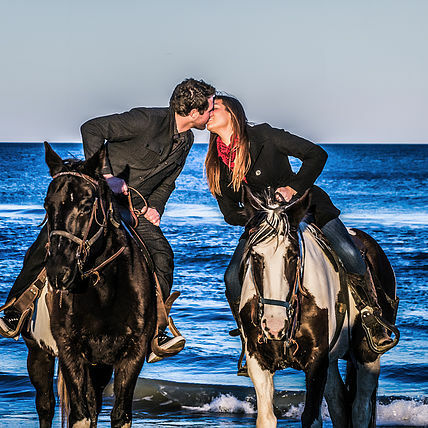 At Outer Banks Horseback we believe in a natural horsemanship approach in which we give each of our horses lots of attention, care, and love. We have worked with each individual horse to desensitize them from any spooks such as dogs, loud noises, and pets to ensure that your ride will be a safe and enjoyable one. Come out and meet our lovely friends that are sure to capture your heart! We are a fun and caring organization that is here to help provide a better understanding of the bond that is established between man and horse. We have already rescued, retrained, and sold 5 horses since Chase Foster took over the business in 2010. These horses were deemed unmanageable by their previous owners and now the men were looking to make a quick buck off the animal by selling to the highest bidder, slaughter chains and all. 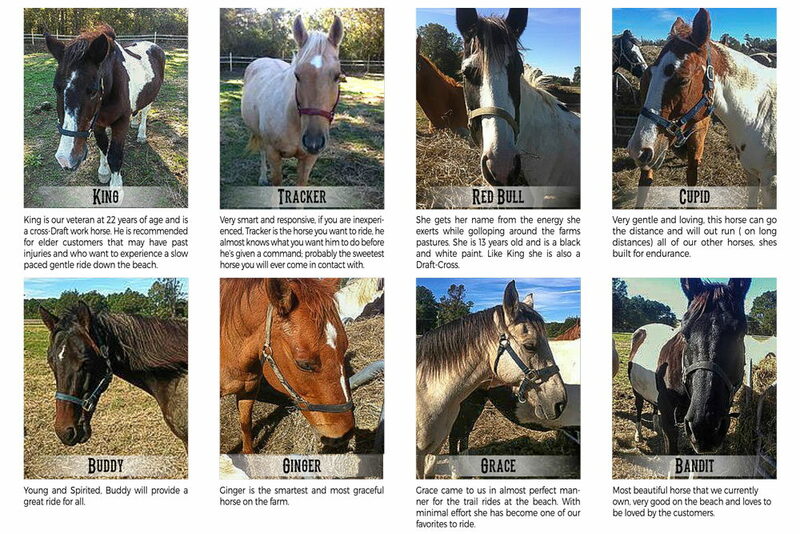 Our mission at these auctions is to find these horses and save as many as we can. The "unmanageable" horses come to the farm with all the spirit of a wild mustang. Here, our goal is not to break the spirit completely, but find a safe way for us to communicate commands to the powerful creature in a way that can't hurt them or us. It's exhausting work, but with a lot of persistence, eventually they do seem to understand through our training and watching the other horses in action, that we are only here to help them succeed in life. Every customer that comes to support our business and experience their own bond on the beach, is ultimately helping us save and care for even more of these amazing animals. Below will be a detailed list of the horses that we are currently caring for, updated every time we get a new baby! We are the only company in the United States that provides horseback rides of its kind. It is an advantage that nobody should miss out on and an experience that you will never forget.